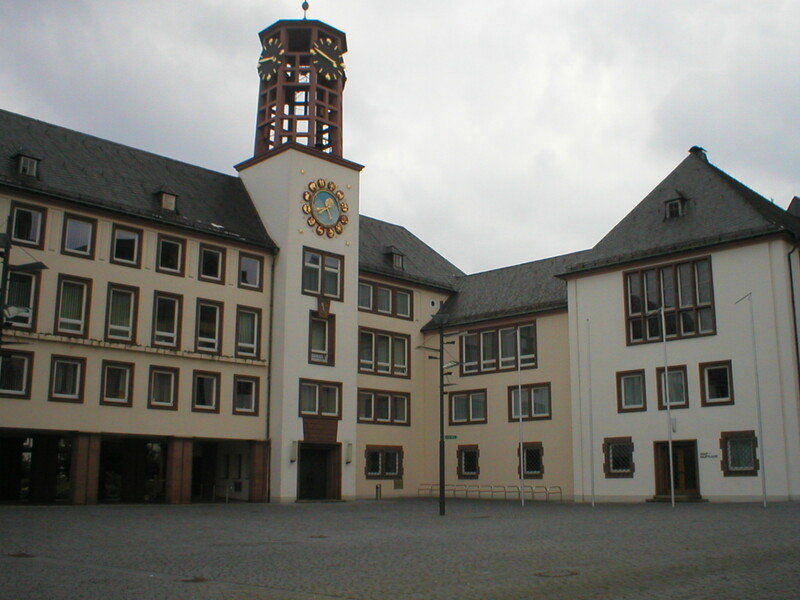 After looking around Nagold, we moved on to Rottweil, the oldest town in Baden-Württemberg. How old exactly? Well, it was founded by the Romans in AD 73. The town is famous for its medieval centre and one other thing. Can you guess what that other thing is? Sadly, I didn’t see a real one. Jan did, but it had disappeared around the corner before I could look. One of the first things we came across after parking the car was the cathedral, or Minster (I’m not 100% sure of the difference.. if there is one? ), so we decided to go in and have a look. At one end of the cathedral, they had all these… staffs, I guess(?) for the various guilds, which I thought were pretty cool. Sorry the photo isn’t the best… they were behind bars and I was afraid I’d drop my camera down the other side if I held it in there for too long! 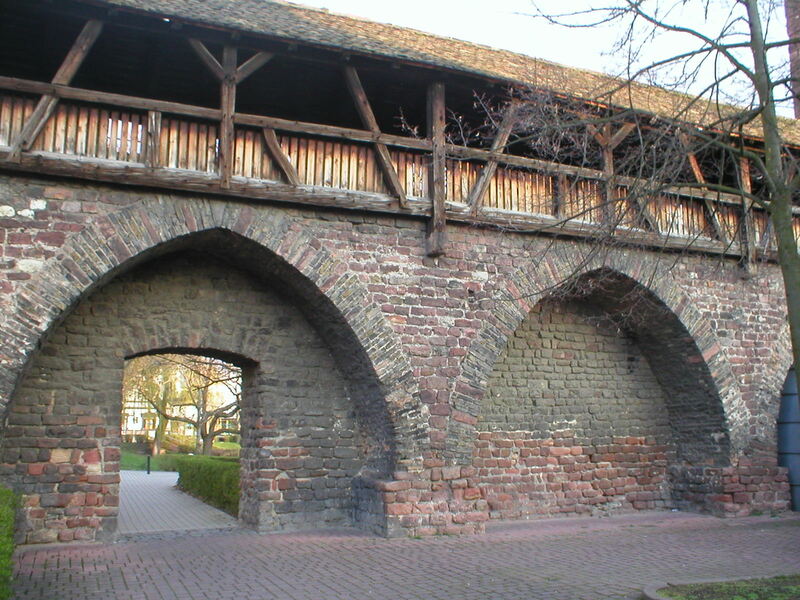 Here’s the Schwarzer Tor (Black Gate). It used to serve as the women’s prison. This sign was on a butcher’s shop! After walking around for a while, we went to the Dominikaner Museum, which is included on our museum cards. They had an interesting exhibition about Roman Rottweil, including a Roman mosaic of the legend of Orpheus. By the time we left the museum, we were hungry so we went in search of food. Jan suggested the Indian restaurant we had passed earlier in the day – Taj Mahal. It turned out to be the worst decision we’ve ever made. The service was slow, despite the restaurant being nearly empty and my curry tasted so sour that I couldn’t finish it, despite having not had lunch. So if you find yourself in Rottweil, don’t bother going to Taj Mahal!! The town itself is definitely worth a look at though. I thought it was about time I did another post for my 30 German towns before 30 thing, otherwise I’m never going to get past 5 (despite the fact that I have definitely been to more than 5 places in Germany! ), so I went through all my old photo albums and came up with… Worms. To pronounce it, think of the English word warm, then add an s to the end and pronounce the W as if it were a V. That comes somewhere close to the German pronunciation (it really has nothing to do with the wiggly invertebrates… that would be Wurm in German). Worms is famous (well… for a given value of “famous”) for a few reasons. 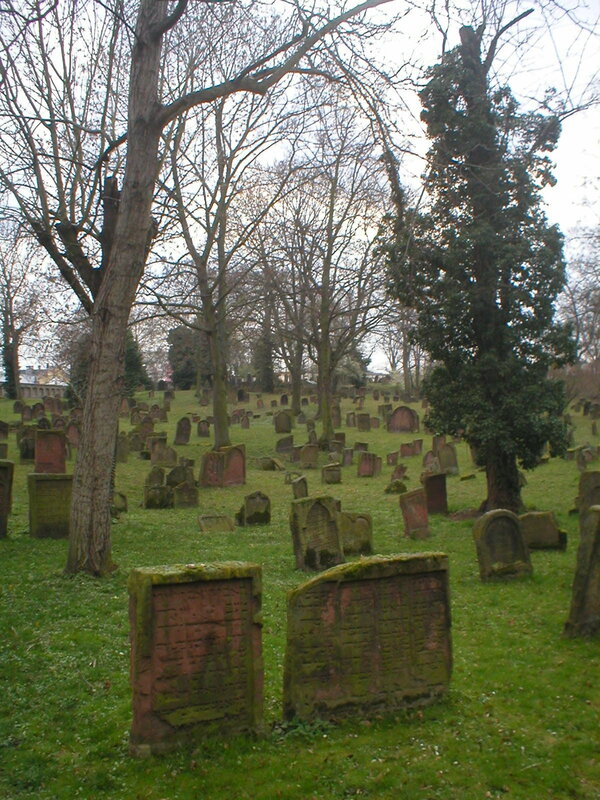 The first is that it has what is thought to be the oldest Jewish cemetry in situ in the world. Yes, that would be the one in the photo above. 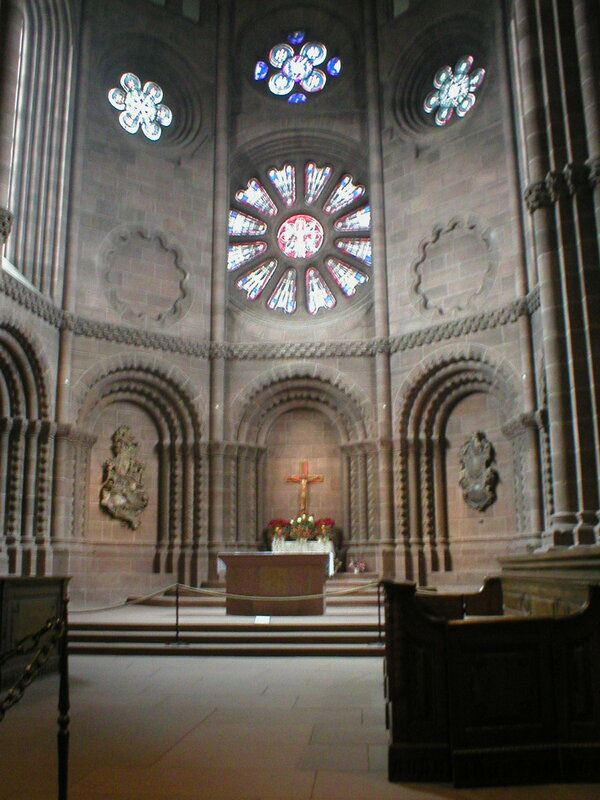 The second is due to its connections with the Nibelungenlied. For those that aren’t familiar with it, it’s a mediavel epic poem/saga – basically like a German version of Beowulf, except Beowulf kills a monster whereas the hero in the Nibelungenlied slays a dragon then bathes in its blood… as you do. Actually, while we were in Worms they had loads of dragons everywhere, sponsored by various shops and things. I’m not sure whether they had anything to do with the Nibelungenlied, but they looked pretty cool. 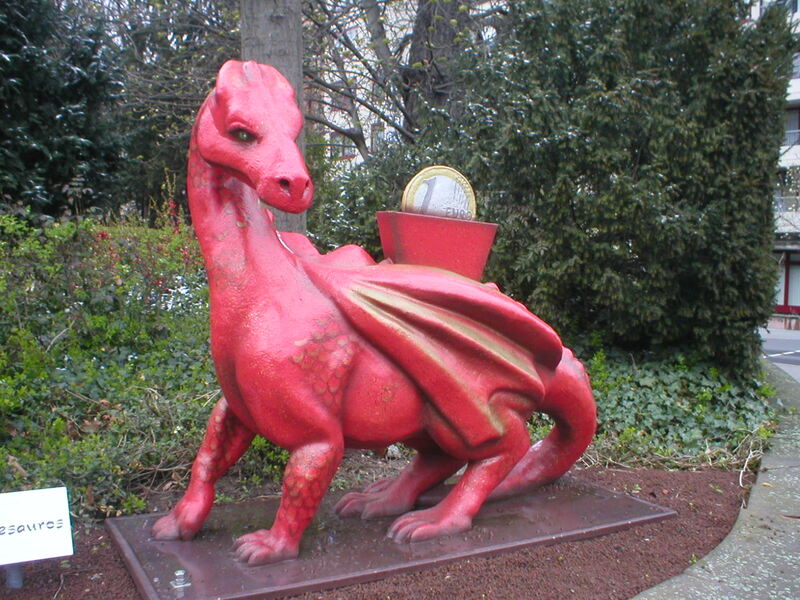 Here’s the one sponsored by Sparkasse (a bank, hence the coin in the dragon’s back). Oh, there’s another thing Worms is known for, at least if you have a clue about the Lutherean church (which I don’t). Does the Diet of Worms say anything to you? No, it has nothing to do with the eating of invertebrates (ick!) 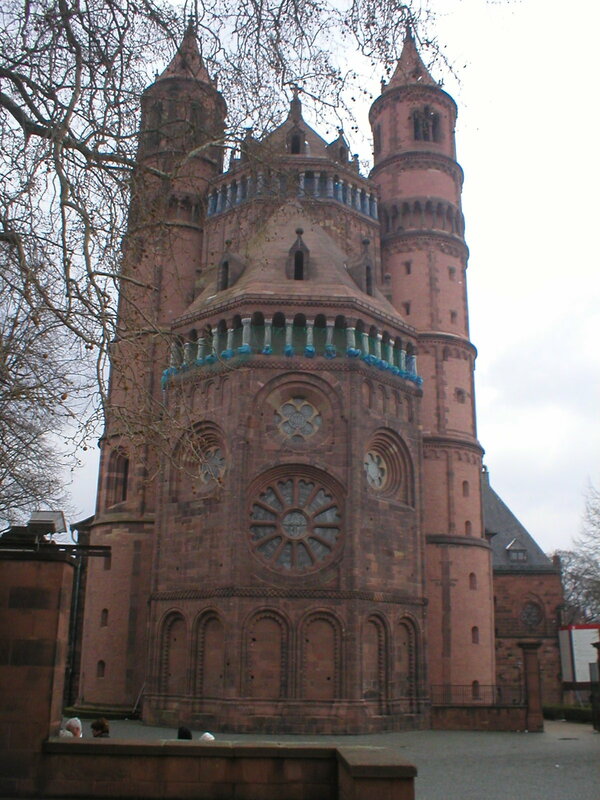 In this particular case, a Diet is an assembly, and this particular assembly was held at Worms. Hence the Diet of Worms – suddenly it all makes sense. Maybe. One thing that came out of the Diet of Worlms was the Edict of Worms, a decree by Holy Roman Emperor Charles V (later Charles I of Spain) which said “[…] we forbid anyone from this time forward to dare, either by words or by deeds, to receive, defend, sustain, or favour the said Martin Luther”. I don’t have to tell you who Martin Luther was, do I? Good, ’cause that’s enough of a history lesson for one day! 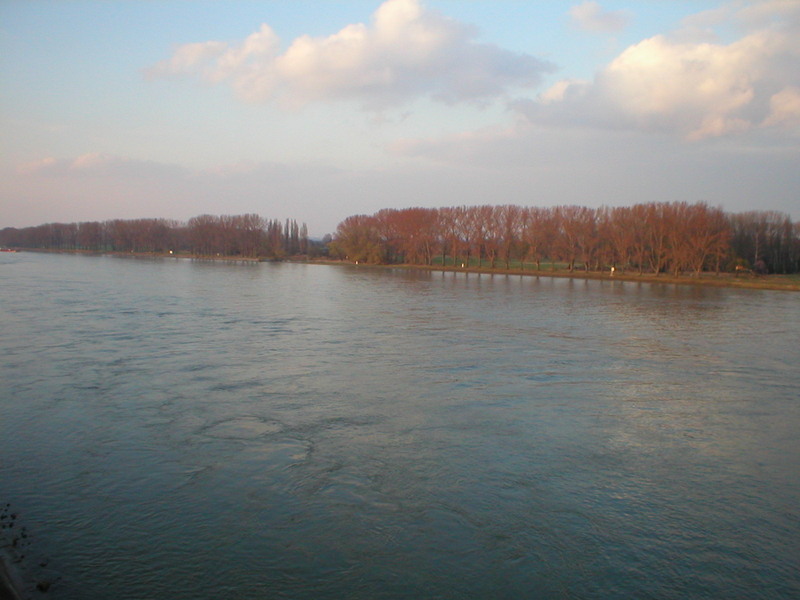 We were in Worms at Easter, which was the end of March that year (2008 in case you were wondering), so theoretically spring, but it was COLD, so we didn’t actually spend that much time walking around. Instead we went into the Nibelungen Museum, which is interesting but the audio tour takes AGES. It’s built inside the old town walls, which is cool but means it isn’t exactly warm! Here’s a not-that-brilliant photo of the town walls (these were taken with my old digital camera, which was even cheaper and lower quality than the one I have now). The bit along the top under the roof is where you walk along as part of the audio tour of the museum.